Comments - Lovely portrait of a beauty in an iris garden on a summer evening. She smiles as she looks back over her shoulder, the breeze blowing her robe about her. 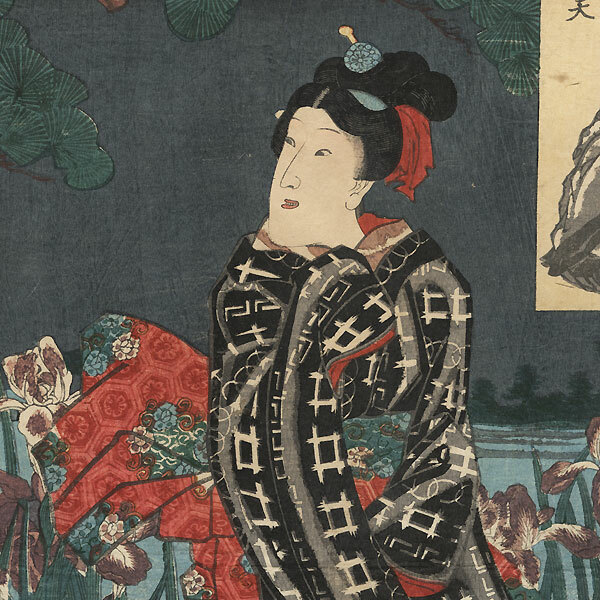 She wears a sheer black kimono with a graphic white pattern over a red under robe, tied with a red brocade obi. 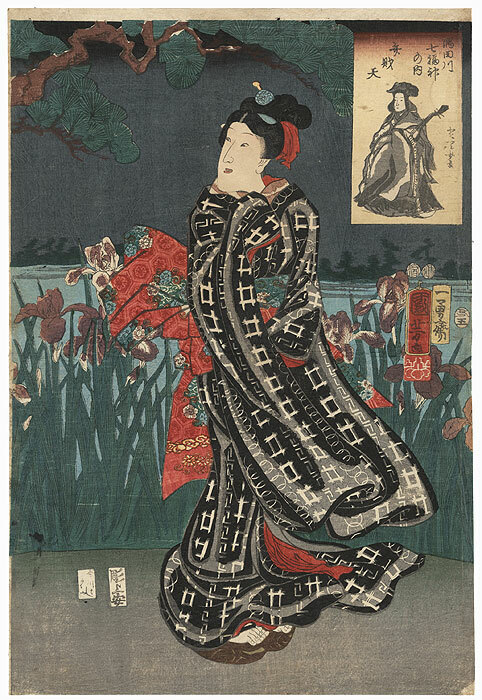 Purple iris blossoms and slender green leaves line the water behind her, with a pine tree framing the night sky above. 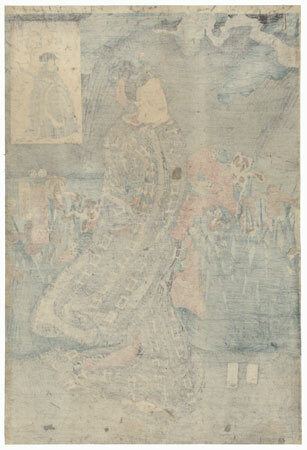 A rectangular inset at upper right depicts the Buddhist Goddess Benzaiten, one of Japan's famous Seven Lucky Gods. An attractive design we've never before offered. Condition - This print with excellent detail as shown. Horizontal centerfold. A few small holes, small thinning spot at edge, repaired. Creasing, slight toning and soiling, a few marks. Please see photos for details. Good overall.